Each month we dive into the realm of undiscovered or unsigned artists to bring you the best under the radar music. If Kate Bush, PJ Harvey and Anna Calvi decided to get together and adopt a little girl, that child would probably grow up to sound like Daisy Victoria. After releasing her stunning EP Heart Full of Beef in March, Daisy returned this month to present her sophomore effort, Nobody Dies. Daisy’s catchy guitar riffs and wonderfully unique but strong vocals are both effortlessly quirky and almost stupidly lovable. Currently accompanying Martha Wainwright on some of her tour, Daisy’s star is continuing to rise exponentially. If The Knife replaced Karin Dreijer’s vocals with the more girlish tones of Lykke Li at her most abrasive, then you’d probably end up with something very close to London duo Death Rattle. Perhaps one of the most intriguing electro duos to emerge for some time, Death Rattle’s blend of dark synth noise and experimental flourishes with a crisp pop sheen is brilliantly engaging and arresting. Their debut album In Shade is out now. Formerly part of Mac DeMarco’s band, Montreal native Peter Sagar has recently followed his own path by forming HOMESHAKE. Not too different from DeMarco’s brand of jangle-pop, HOMESHAKE sees Sagar taking a scattershot approach to psychedelic rock that gladly veers off into all kinds of weird and wonderful corners. Following on from The HOMESHAKE Tapes, Sagar and his chums recently released their LP In The Shower on Bandcamp, which features their wonderful single Making A Fool Of You. Experimental duo Sylas are slowly but surely building a reputation for being purveyors of hushed, downbeat electronic music. Their recent singles Hollow and Shore – both of which are available to listen to via their Soundcloud page – are both intentionally dark, cold, abstract and above all challenging. Their wonderful knack for creating chilly melodies will truly come to light when they release their new EP on Monday 24th November. 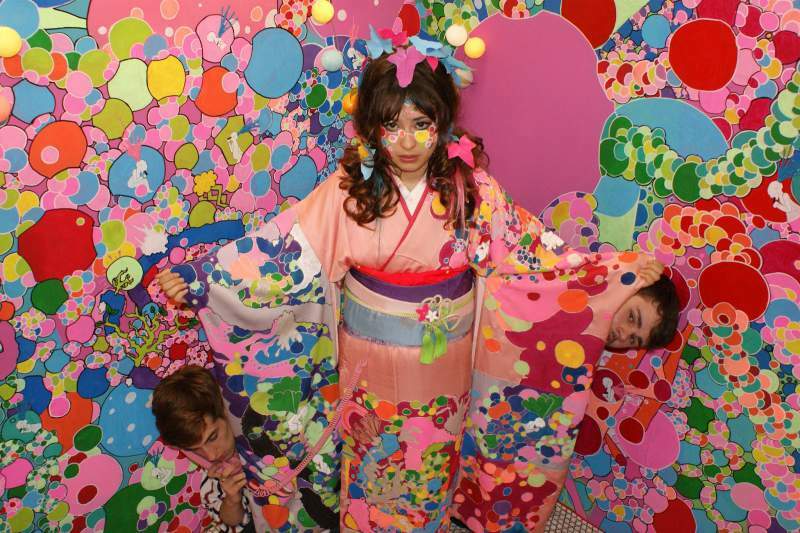 Kero Kero Bonito are a band who must have eaten too much marmite on toast as children; to bring out a clichéd phrase, you either love them or hate them. Melding classic 16-bit video game sounds from the likes of Mario and Zelda with some twee lyrical content (sometimes in Japanese) and sick beats, they will either make you want to dance around the room with nostalgic joy or claw your eyes out. Whatever your view, Kero Kero Bonito are undoubtedly making some of the most inventive and infuriatingly catchy party tunes out there. The brainchild of Amandah Wilkinson (formerly of Operator Please), Bossy Love is a no-holds-barred blend of pop, tropical and R’n’B influences with a wonderful electronic twist. Wilkinson’s voice is sweet and girlish, providing a light tone to the perfectly crafted beats and melodies. Her debut EP Me + You consists of four tracks of pure pop delight, better than anything currently populating mainstream radio. It’s cool, sophisticated and just a little bit daring. Plus, she’s just made her latest mixtape Holidates free to download from her Soundcloud page. What’s not to love? I’m not usually a fan of guys playing with acoustic guitars. There, I said it. However, when it’s done well I’m partial to dabbling in a bit of acoustic guitar noodling and there’s not many people in the North East doing it better than Sam Thomas. He’s adding to his extensive and impressive repertoire of covers with an increasingly interesting and expanding list of original material. Currently working on new material for an EP due out in January, Thomas has begun to fully refine his flexible, R’n’B tinged voice that suits his sultry Paolo Nutini-esque indie-pop. Combined with some powerful harmonies and a tight backing band, it might not be long until he can finally ditch the covers. Parisian Owlle, whose real first name actually is France, specializes in all things electro pop. Though she’s topped The Hype Machine many a time thanks to her pitch-perfect combination of spectral beauty and novelty pop. Her single Ticky Ticky demonstrates Owlle’s love of eighties Madonna but if that sounds just a bit cheesy, her debut album FRANCE is filled with magnificently sophisticated pop. In just a matter of a few months, Venezuelan producer Arca has gone from being a big name within the underground scene to being one of the most talked-about people in electronic music. Some of this may have a lot to do with the fact that he’s co-producing the next album by Björk and his somewhat NSFW video for Thievery but with the release of his latest album Xen – which includes some very intricate and hypnotising instrumental wonders – he’s proved that he can live up to the hype on his own.